McDonald's recently hosted a McShare night with O'Neal Elementary to support St. Judes Children's Hospital. 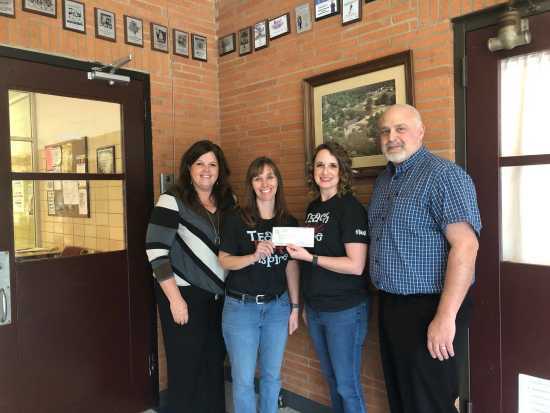 Pictured are McDonalds Director of Operations Cheryl Farrow, O'Neal Principal Amy Dill, 2nd grade teacher/St Judes Coordinator Jeannie Isom and McDonalds Area Supervisor Tony Seabaugh. McDonalds is proud to partner with O'Neal School District in the amount of $507.